Today Sharks General Manager Doug Wilson sat down with Dan Rusanowski for a chat on Facebook Live. The biggest news to come out of the interview was an extension for backup goaltender Aaron Dell to a two-year deal. The impression was that pen had not been put to paper yet, but it didn’t take long for the financials to be announced. This is a pretty nice raise for Dell, who was currently making just $625,000 in the final year of his contract. 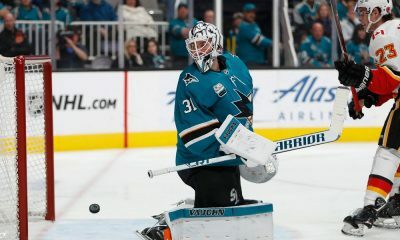 The money is a little on the high side for a backup goaltender, the Sharks could have pursued another goaltender in the offseason and paid less. While I acknowledge that fact as the old saying goes; A bird in the hand is worth two in the bush. I feel that Dell earned his contract this season, and while I never bought into the Dell vs. Jones narrative that was spun, loyalty should be rewarded. 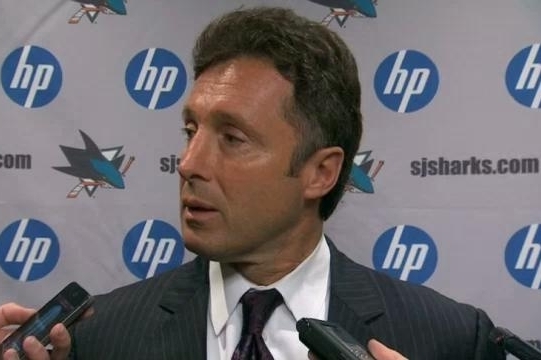 Doug Wilson also discussed his newest acquisition, Evander Kane. He was quick to point out all the connections he has with the current Sharks team from players to coaching to management. Kane, of course, played with captain Joe Pavelski during the lockout and had played under Peter DeBoer during the IIHF Under 20 Tournament (WJC). He was also quick to remind the audience about Kane’s draft pedigree, as he was a former 4th overall pick in 2009. He highlighted how the style that Kane plays will complement the Sharks system and fills an obvious need. When asked about off-ice issues, Wilson simply said that sometimes perception is different than reality without addressing any specific incidents in Kane’s past. I don’t think Doug Wilson will endear himself to a pocket of the fan base that is already unhappy with Kane being a shark. The comment of perception vs. reality will likely add fuel to an already burning fire. If Evander Kane’s off-ice issues stopped at having his tracksuit thrown into a shower in Winnipeg than perception vs. reality comment would be less likely to cause any issues. Since the Evander Kane accusations go far beyond that, I can sympathize with how pockets of the fanbase are going to react. On the ice, though I think Wilson made a lot of good points. Much has been written about the Sharks physicality or lack thereof, and Kane definitely addresses that issue. Kane brings an additional scoring punch that the Sharks sorely lack especially at 5 on 5. At the age of 26, there is plenty of room for Kane to grow with this team should he sign here as an unrestricted free agent in July or ideally an extension before that. Doug Wilson clearly stated that, under his watch, there will never be a tear-it-to-the-bolts rebuild. He stated that it is something that he philosophically does not believe in. Wilson stated he could not go to a coach or player and tell them it’s ok to lose. 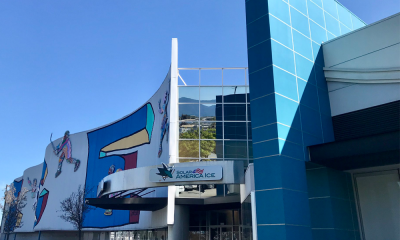 He said it would be difficult to go to players who had just signed long-term deals like Jones, Vlasic, and Burns and tell them they now have no chance of winning. He acknowledged that it is a much harder way to win. I’m of two minds here. First, I think that a team should do whatever it takes to win, period, and teams that have been successful have done so on the backs of multiple top 10 draft picks. That being said, for every Los Angeles, Chicago, and Pittsburgh, there are plenty of Edmonton’s, Buffalos, Floridas, and Carolinas. Teams also have a duty to their ticket holders. While I’m not local and watch the games as a bonus from my cell phone plan, there are plenty of people who spend hard earned money to watch the Sharks play. Those season ticket holders deserve to have a product that is worth that money on the ice. So while it’s easy for a guy like me with no real skin in the game to say burn it down, I can admire Wilson’s commitment to trying to keep a worthwhile product on the ice even if it is the road less traveled in today’s NHL. When asked about the Barracuda in their current strip-mined state, Wilson claimed that there was still plenty of young talent currently with the team. He was quick to credit the work done by Roy Sommer, Evgeni Nabokov, and Mike Ricci, among others for the work they had done developing talent. He also mentioned that there were a fair number of high-end prospects currently playing in the NCAA and not available to the Barracuda. 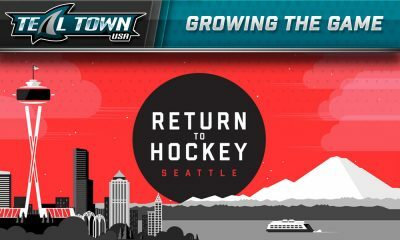 When asked about the trade that saw Troy Grosenick go to Nashville, Wilson said that the room for Grosenick to grow in the system was no longer there with the extension for Dell. He felt that Grosenick would have a better opportunity to grow and advance elsewhere. When asked about the center position, he felt the Sharks are just fine with the players they currently have in place and in the pipeline. Players like Dylan Gambrell and Josh Norris were mentioned, as well as Tomas Hertl. 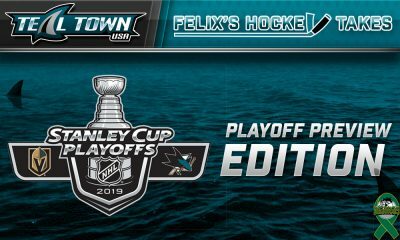 He also mentioned how the Sharks have the flexibility of players that can fluidly move from the wings to the center position. Doug Wilson feels that this draft is very deep and it’s important to keep this year’s 1st round pick when dealing at the deadline. Wilson also says has the utmost faith in his scouting staff. Joe Thornton is continuing to progress but currently has no timeline for a return. Wilson stated it would be great to have Jumbo back but it won’t be for a lack of trying if he isn’t. The Sharks view this year’s free agent crop as a very strong one. While he couldn’t mention specific names do to the NHL tampering rules, expect the Sharks to try and make a huge splash in the UFA market this offseason. When pressed about John Taveras, Wilson stated that while Hasso has the million dollars for the fine, he was opposed to losing the first round pick. (NHL tampering penalty).